The University of Ljubljana in Slovenia is the fourth institution to join a new, growing university alliance founded by the University of Warwick, L’Université Paris Seine, and Vrije Universiteit Brussel (VUB). The group has also revealed that discussions are well in advance for further members to join. The initiative was first launched in March this year at the University of Warwick’s base in London’s Shard Building. At a summit next week (5 and 6 November) hosted by Île de France region, Paris, Igor Papič, Rector of the University of Ljubljana will sign a declaration with the three existing members to deliver an alliance of like-minded European institutions in response to the European Commission’s call for the creation of strategic collaborations between institutions. Also taking part in the summit are Valérie Pécresse, President of the regional council of Île de France, represented by Stéphanie Von Euw Vice president in charge of European affairs , Robert Sleigh, Deputy Mayor of West Midlands and Francis Baert, Strategy Planning Manager, Flanders Investment and Trade, who welcomed the new alliance and the opportunities it will provide to bring the leaders of regional and significant local government bodies together to address fundamental challenges in their respective regions. Key regional stakeholders will lead working groups of policy makers and researchers to begin to share expertise and discuss opportunities created by continued, and deeper, cross Europe co-operation drawing on this new university alliance. 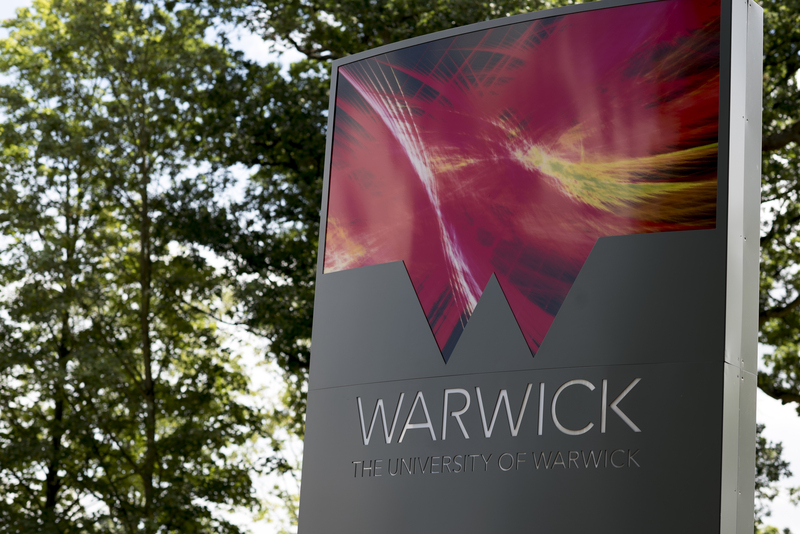 “The University of Warwick is an outward-facing, Europeanist, modern university which adopts a collaborative approach, and, we see our values reflected back in our partners in this new alliance. “I am delighted the University of Ljubljana is joining this alliance. It is the leading, oldest and largest University in Slovenia, and one of Europe’s largest universities. It is one with which Warwick already collaborates in research – especially in maths and complexity science. “We are committed to Europe-wide research and teaching collaborations, and we want to continue despite the political and economic cleavages that Brexit could bring to future UK relations with continental Europe. “The alliance was initiated because we can’t afford simply to wait for that to be fully resolved. We chose to act now not just to show our commitment to work together with partners in Europe. “It is a great honour and pleasure for the University of Ljubljana (Slovenia) to join the European university alliance founded by the three universities – the L’Université Paris Seine (France), the University of Warwick (United Kingdom) and Vrije Universiteit Brussel (Belgium). “An important strategic orientation of our university is internationalization. After intense discussions, we are convinced the alliance shares a common vision of innovative, creative and inclusive education. It provides collaborative solutions to international challenges, generates synergies between research, education, innovation, and economic contribution, and motivates interregional collaboration. “To have the University of Ljublana joining our network reinforces our European academic and scientific project. Fully in line with the vision and actions we have put in place, it will enhance our forthcoming propositions.